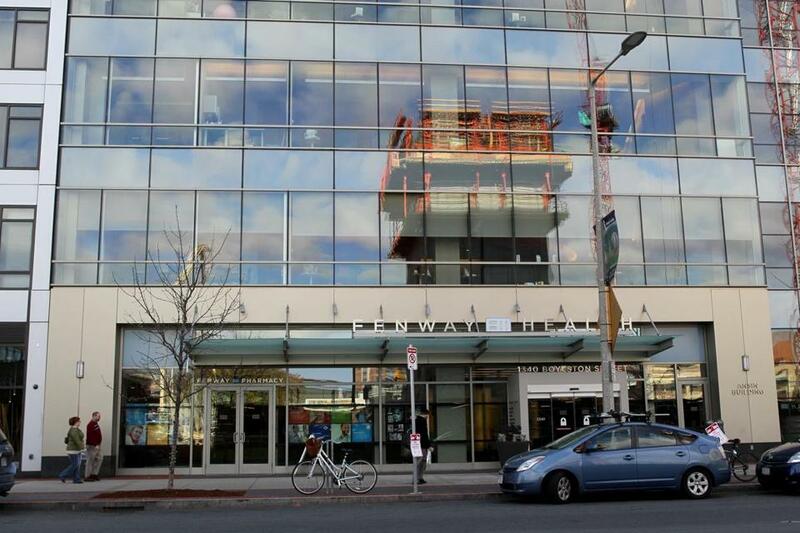 The exterior of Fenway Community Health Center, whose chief executive resigned Sunday. The chief executive of Fenway Community Health Center resigned Sunday, under pressure from the board of directors, employees, and donors over his handling of complaints that a prominent doctor had allegedly sexually harassed and bullied staff members there for years. Dr. Stephen L. Boswell’s departure after 20 years as chief executive came two days after a Globe investigation published online Friday detailed allegations of harassment and bullying by Dr. Harvey J. Makadon. 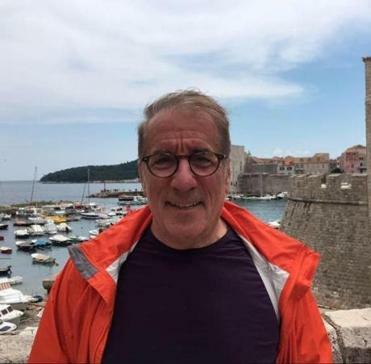 Makadon, 70, allegedly sexually harassed at least three male employees at Fenway Health and bullied both male and female co-workers, according to current and former employees of the Boston-based medical institution, known for its pioneering care and advocacy for LGBT patients. Boswell in 2015 allegedly ignored an outside law firm’s explicit recommendation to fire Makadon, the Globe reported Friday. Boswell also failed to inform the board of the Makadon allegations, including those resulting in a $75,000 settlement last year with a former male employee, according to three employees and an internal document compiled by some employees to summarize events related to Makadon. The board learned of the issues in January 2017, after another executive took the information to the chairman, the sources said. Three employees of the pioneering center filed sexual harassment complaints against Dr. Harvey Makadon, including one who received a $75,000 settlement. In a statement Sunday afternoon, the board’s executive committee announced Boswell was no longer employed by the organization. The committee appointed M. Jane Powers, Fenway’s director of behavioral health and the only woman in senior management, as interim chief, while a search is conducted for a permanent replacement. The ouster was a dramatic turnabout from Friday, when Fenway’s chairman, Robert H. Hale, had issued a statement in response to Globe questions, saying the board was continuing to back Boswell, despite concerns about his handling of the Makadon situation. Fenway Health CEO Stephen Boswell. Boswell, now 61, joined Fenway in 1994 and served as medical director. He became chief executive in 1997 and is credited with helping build Fenway into an institution with a $100 million budget that employs about 500 people and serves 29,500 patients annually. In a statement Sunday evening, Boswell said he ordered “significant discipline” for Makadon when “unacceptable conduct” came to his attention. The Fenway board approved a new contract for Boswell in late spring, just months after learning about the Makadon allegations. Boswell had total compensation of $456,158 in fiscal 2015, the latest tax filing accessible in GuideStar, a website that compiles nonprofit financial data. Makadon’s alleged unwelcome touching of some male co-workers was widely known, according to three female former employees who witnessed it or were told of the behavior by alleged victims. It also was well known that Makadon, a prominent advocate for LGBT health care and a former chairman of the Fenway board, at times yelled at and belittled both male and female staff members, current and former employees said. “Any allegation that my behavior at Fenway was sexually abusive in any way is completely untrue,’’ Makadon said in a statement. Interviews and documents reviewed by the Globe detailed behavior by Makadon from 2013 through 2016 that allegedly involved uninvited touching of at least three Fenway employees — unwanted shoulder and neck rubs, a hand on a knee, hovering too close at a work station, and in the worst case, allegedly putting his hand into the back of someone’s pants. Employees also reported persistent dinner invitations and, in some instances, unwanted touching at off-site events. In three sexual harassment cases where formal complaints were made, male employees reported being made to feel uncomfortable while alone in Makadon’s office with the door shut. One man started keeping a chair between himself and Makadon to prevent unwanted touching at his cubicle, according to a lawyer’s letter reviewed by the Globe and interviews with former Fenway co-workers. One of the alleged victims still works for Fenway. He said Makadon once asked if he could kiss him. Another time, he said, Makadon allegedly got close to him in an elevator, put an arm around his back, and then slid his hand down the back of the man’s pants. The stories of two of the alleged victims who filed complaints — the one who settled and the man allegedly assaulted in the elevator — were corroborated by people close to them who heard the accounts firsthand shortly after they occurred. The third was confirmed by a Fenway employee with knowledge of the events. Makadon denied the elevator incident and also said he had never tried to kiss anyone. He said Fenway has a culture where people sometimes hug or have casual contact and that his behavior was not outside the norm. Almost worse than Makadon’s alleged behavior, current and former employees said, was Fenway’s failure to stop it — particularly at an institution whose mission has long been to protect and advocate for a population that has faced oppression and violence. 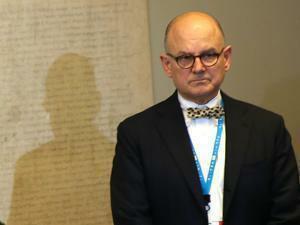 Fenway’s chairman, Hale, said executives did speak about the allegations with Makadon. He also said that once the board learned of the behavior, it “took prompt and appropriate action to address the matter.” He added that Makadon was involved in research and did not treat patients at Fenway. The alleged victims and witnesses coming forward about Makadon, and Fenway’s handling of the complaints against him, have been emboldened by the wave of sexual harassment cases sweeping the nation. The Fenway employees who spoke to the Globe asked not to be identified, for fear of retaliation and losing their jobs. Former employees asked for anonymity because of the sensitivity of the subject. Makadon did not deny he could be hard to work with. He acknowledged that, after the bullying complaints, Fenway required him to undergo a series of executive coaching sessions. “I always knew there were people who felt like I was difficult,’’ he said. Although admitting to a combative work relationship with one alleged victim, he denied sexually harassing the man. Makadon, a Columbia University-educated physician, was affiliated with Boston’s Beth Israel Deaconess Medical Center for most of his career and has been a member of the Harvard Medical School faculty since 1980. He was director of education and training at the Fenway Institute, where he wrote a textbook and built a niche speaking with medical practitioners around the country on treating LGBT patients. But in February 2013, a sexual harassment complaint was filed against Makadon with Fenway’s human resources department, according to employees and the summary document. That triggered an investigation by the Boston law firm Seyfarth Shaw, which resulted in sexual harassment training across the nonprofit and individual training for Makadon, according to the sources. By July 2015, Fenway had adopted a “zero tolerance” policy on harassment, bullying, and violence in the workplace, according to the sources. That same month, the employee reported the elevator incident, and another employee also lodged a complaint, according to the sources. That spurred the nonprofit’s chief financial officer, Jeffrey Lieberman, to order a second investigation by Seyfarth Shaw, according to the sources. Both Lieberman and the legal investigation report advised chief executive Boswell to fire Makadon, the sources said. But Boswell said Makadon was “too important” to fire, according to employees and the summary document. Instead, Makadon was placed on a month-long leave and required to get more sexual harassment training, according to the sources. The management team was not broadly informed of the investigation, the sources said, so managers were not alerted Makadon should have faced greater scrutiny. As a result, Makadon’s alleged victims had to keep working with him; at least one had to continue meeting with him alone in his office, sources said. In January 2017, after more complaints about Makadon, Lieberman asked for a meeting with Hale, the board chairman, according to employees and the summary record. Lieberman shared with him the Seyfarth Shaw investigations, the sources said, and urged Hale to fire Makadon. In March 2017, Fenway changed Makadon’s status to consultant from employee, according to the sources, but in April, the chairman ordered that Makadon be let go for good. The rest of his consulting contract was canceled, according to two employees and the summary document. After Makadon’s dismissal, the board hired the Boston law firm Mintz Levin to conduct a review, this time of Fenway’s workplace policies and the actions taken by management and the board in response to the Makadon complaints, according to Fenway’s statement. Fenway said it revised its policies on harassment, discrimination, and bullying, and held mandatory senior management training. But a wave of dismay rose among staffers, donors, and some board members over the weekend, according to several people who work there or advise directors, spurring a flurry of emergency board phone calls. Some employees threatened a protest ahead of a planned board meeting Monday night, and a group of Fenway donors called the Young Leaders Council wrote a letter to the board expressing concern. “Protecting sexual harassers and bullies is in direct contradiction to everything the Young Leaders Council and Fenway Health stands for,’’ the e-mail said. Kay Lazar of the Globe staff contributed to this report. Beth Healy can be reached at beth.healy@globe.com. Follow her on Twitter @HealyBeth. Sacha Pfeiffer can be reached at sacha.pfeiffer@globe.com. Follow her on Twitter @SachaPfeiffer.